Preheat oven to 350 degree. Line 2 (12 cup) muffin pans with paper liners. In a large bowl, combine cake mix, lemonade concentrate, oil, and eggs. Beat at medium speed with an electric mixer for 2 minutes. Increase mixer speed to medium high, and beat until smooth. Stir in sour cream. Spoon batter evenly into prepared muffin cups. Bake for 15 to 18 minutes, or until a wooden pick inserted in center comes out clean. Let cool in pans for 2 minutes. Remove from pans, and cool completely on wire racks (about 58 minutes). Spoon coconut cream filling into a squeeze bottle with a long narrow tip. Insert tip into center of each cupcake, and squeeze about 1 tablespoon filling into each cupcake. Reserve remaining filling for another use. In a medium bowl, combine frosting and coconut extract. 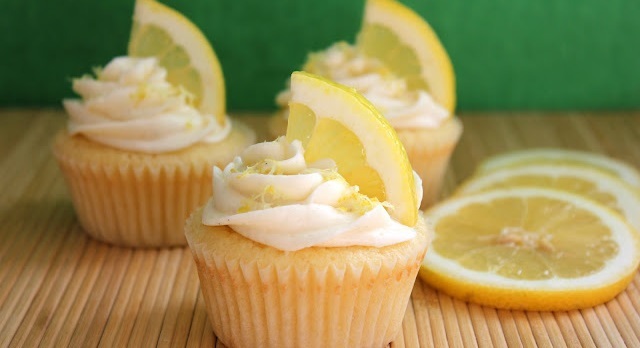 Spread frosting evenly over each cupcake. 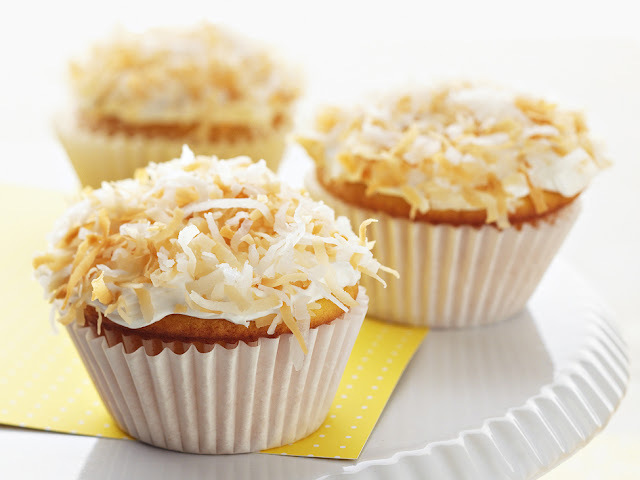 Top each with coconut and a lemon slice, if desired. Store in refrigerator. In a medium bowl, beat cream cheese and confectioners’ sugar at medium speed with an electric mixer until smooth. End.